We have salmon, once a week usually and this week, it was the first time, I remember making one with a ginger glaze. I say, "I remember" because since June 2009, I have gotten into this habit of weekly salmon. I won't say, I have not missed but I can say, I have not missed very often. I attempt to change the salmon recipe weekly although I am sure, I must have duplicated. I search for new recipes or just be creative. As a result, we have had some "unusual" dishes but I can't think of one that was not good. In my old blog, My Sweet and Savory, I was posting a new salmon recipe a week for a few months. I should bring them over here since I closed the other blog down, perhaps forever. I don't think, I can run two blogs these days. In a large skillet, heat water, rice vinegar, brown sugar, chile paste, ginger, and soy sauce. Add the salmon to the pan of simmering liquid and cook each side for about 8 minutes. Remove from pan and serve. Eat and enjoy. Dear Chaya, Salmon is one of my favorite fishes. I don't get to eat it very often. I do love the flavor of ginger with the salmon. This is a lovely meal. This sounds delicious! 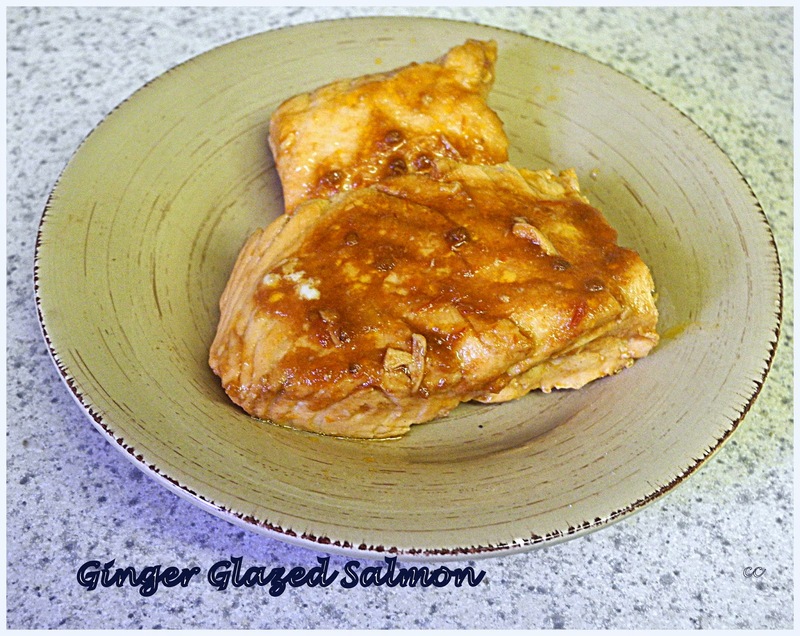 Salmon is probably my favorite fish, and ginger is a great addition! Thanks so much for sharing it at Savoring Saturdays, I hope to see you back this weekend! So simple and so much flavor. All of the ingredients in the glaze sound good together. Thanks for sharing, Chaya.